Ants are social insects and had about 5,000 species and sub-species. 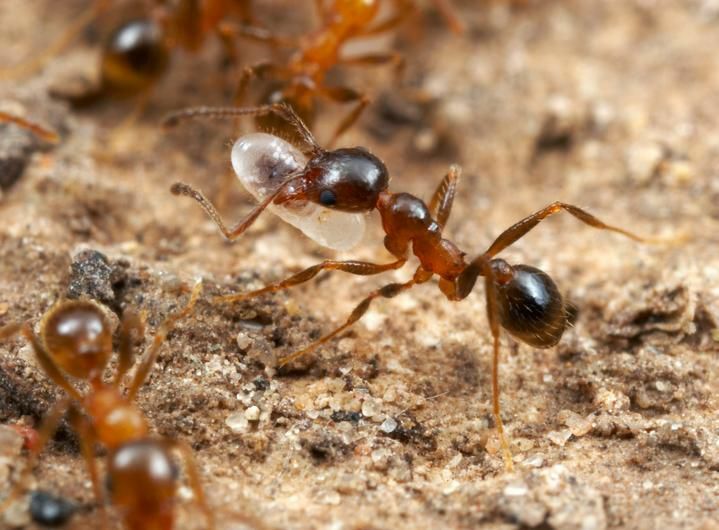 Most ants consisting of Queen, King, Reproductive, Soldier and Worker. They come in all shades of black, brown, yellow and red and are nearly blind, depending on the Sensory cells on their antennae for touch and taste. Sting painfully that can easily cut open human skin. They feed on a variety of food, penerate food packages, causing damage and contaminated, thus posing a health risk. Spraying will be carried out in the compound cracks and crevices, skirting boards, refese collection areas, sewage and drainage systems. Apply gel baiting on all potontial breeding area.